Town in the government of Volhynia, Russia. A Jewish community existed here before the uprising of the Cossacks in 1648. In 1898 the town had nearly 8,000 inhabitants. Among them there were about 3,500 Jews, who were principally engaged in handicrafts and commercial pursuits. 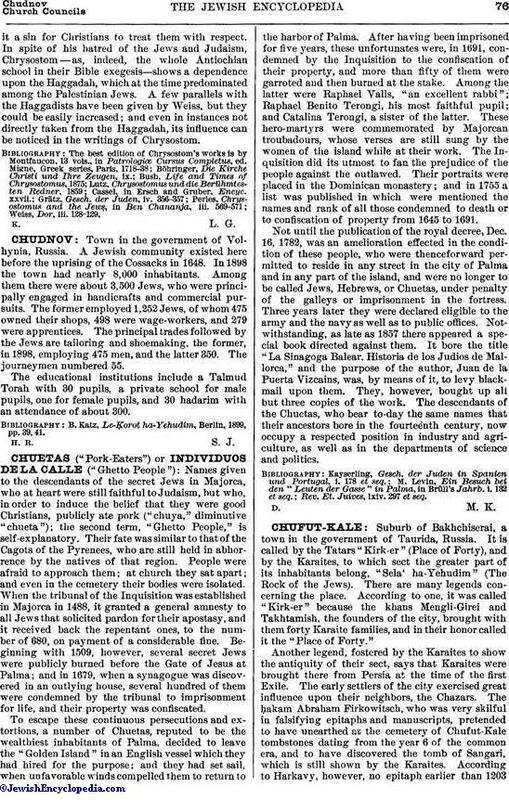 The former employed 1,252 Jews, of whom 475 owned their shops, 498 were wage-workers, and 279 were apprentices. The principal trades followed by the Jews are tailoring and shoemaking, the former, in 1898, employing 475 men, and the latter 350. The journeymen numbered 55. The educational institutions include a Talmud Torah with 30 pupils, a private school for male pupils, one for female pupils, and 30 ḥadarim with an attendance of about 300. B. Katz, Le-Ḳorot ha-Yehudim, Berlin, 1899, pp. 39, 41.